Current whereabouts unclear; planning for alternative government? 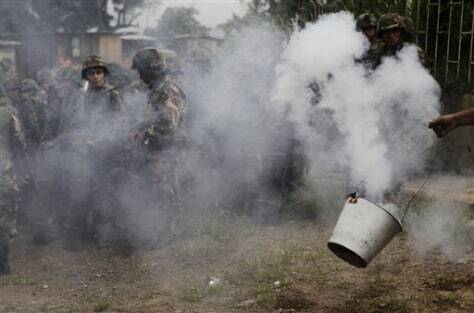 A supporter of Honduras ousted President Manuel Zelaya from the Garifuna Indian community burns incense in a bucket near soldiers during a protest in Tegucigalpa on Thursday. The incense is believed to expel bad spirits.